Thunder Rapids Water Coaster is the first ride of its type in America. The ride features five upward blasts to give the ride the coaster element as well as four saucer sections. In 2016, Hill Country Racer was removed from the park to make way for Thunder Rapids. 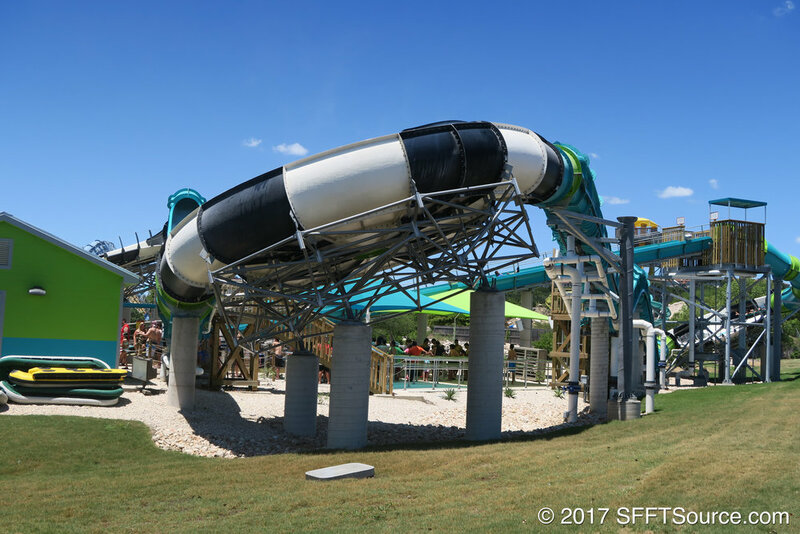 Hill Country Racer was a multi-lane racing slide that was situated in White Water Bay from 2006 through 2016. Before calling Fiesta Texas home, Hill Country Racer was located at the defunct AstroWorld theme park in Houston. A final look at Thunder Rapids construction as well as the Celebrate! special effects bridge at Six Flags Fiesta Texas. A look at the Celebrate! special effects bridge as well as an exclusive construction tour of the upcoming Thunder Rapids Water Coaster at Six Flags Fiesta Texas. 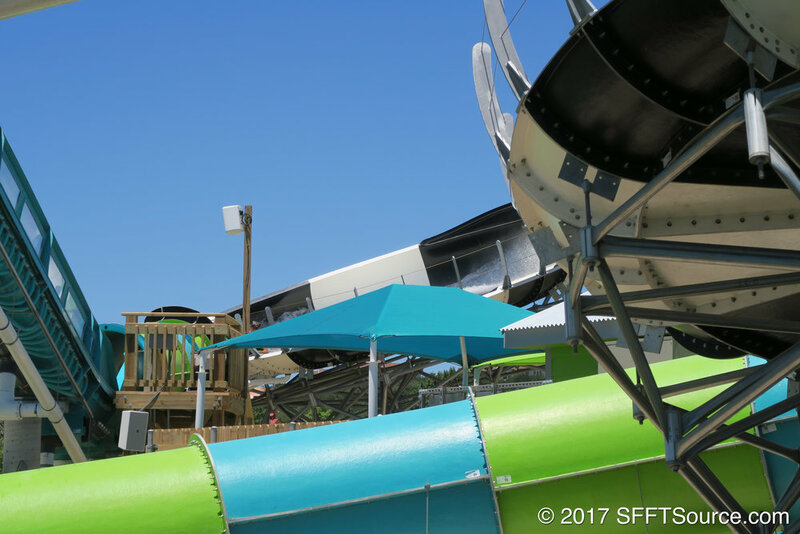 We take a look at Thunder Rapids progress as well as another project inside Six Flags Fiesta Texas. 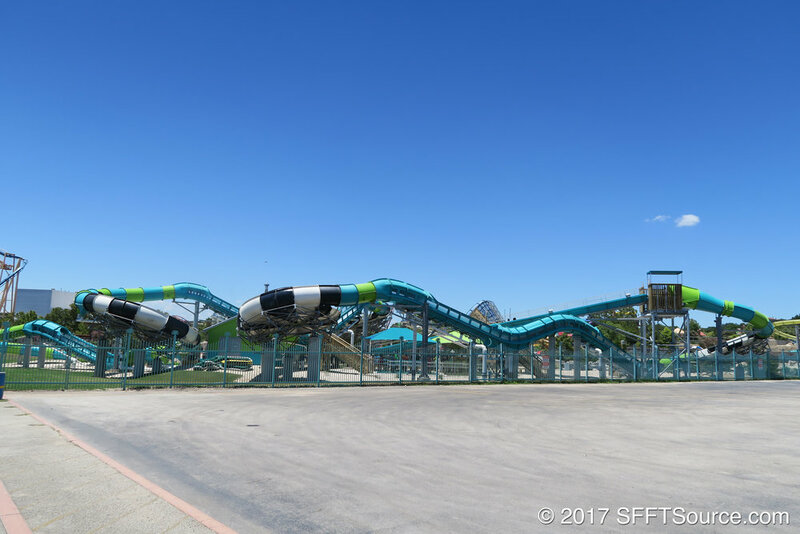 An early look at the construction progress of the Thunder Rapids Water Coaster, new paint jobs on White Water Bay attractions, and more at Six Flags Fiesta Texas. An early look at the construction progress of the Thunder Rapids Water Coaster at Six Flags Fiesta Texas.